The Arlington Greens approved the following position on the development plans for the Wilson School and Rosslyn Highlands Park area at its October 1st meeting. Process: Final decisions were made during secret negotiations* between government and developers long before the public process began. Because the outcome was predetermined, the public process disregarded longtime local community requests in framing a draft proposal**, and disregarded local community responses to the draft proposal. Secret agreements and ignored input; that’s not consistent with the way government should function in a democracy. Outcome: The Wilson school area is the only substantial family recreation area within easy walking distance of the nearby neighborhoods***. No urban planner would recommend intense development of the site. And yet that is what will happen. 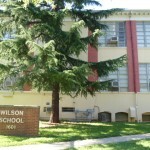 The historic elementary school will be torn down and replaced by a much larger structure. Parking lots and small fields and one story buildings will be replaced with skyscrapers. Greenspace in the heart of a city will be paved over, parkland will be given over to development, and families will have reduced playspace – these are astonishingly bad outcomes. See letter from Friends of Rosslyn Highlands Park dated June 16, 2014.
also: Personal Communication with Katie Elmore and Stan Karson, local civic association designees to the Western Rosslyn Area Planning Study (WRAPS) process. -Many presentations to the APS and County Boards by Mark Antell and Stan Karson, local civic association contacts for Wilson School for over a decade. -Arlington County Civic Federation resolution recommending preservation of the Wilson School Playfields, endorsed 2007 and reaffirmed in 2014. 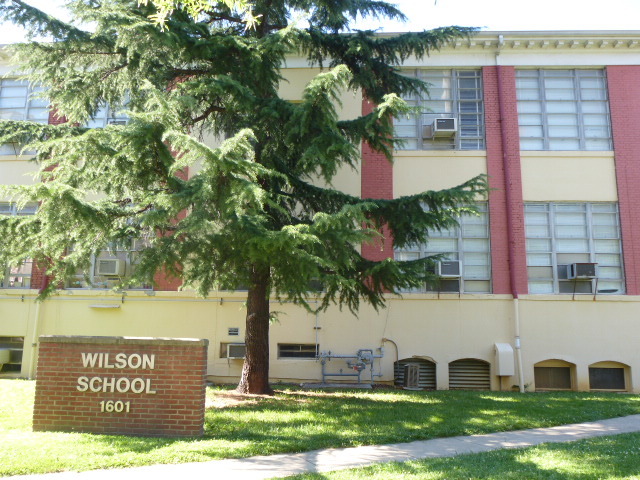 -Historic Architecture and Landmark Review Board recommendations in 2007 and 2014 that Wilson School be designated an historic site. ***Wilson School / Rosslyn Highlands Park the only substantial recreation area within easy walking distance of the surrounding neighborhoods. Look at the map.